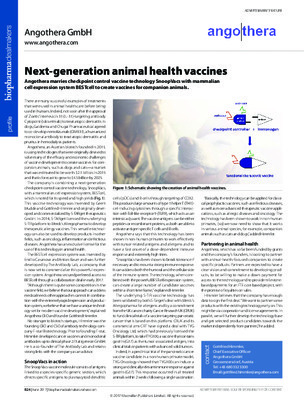 angothera GmbH is a private biotech company developing animal health vaccines for unmet medical needs. Our platform technologies significantly reduce product development times from research through to commercialization. Our labs are located in Vienna, Austria. The team has extensive experience in protein engineering and vaccine design. We offer collaboration and license arrangements to Animal Health companies.